We stock and supply the best brands with quality you can depend on. We use both local and international products and have ensured they meet our high standards. Wilkinson Suspension is steeped in Motorsport with the team actively participating and competing in various forms of Motorsport. Wilkinson Suspension Centre was first located in a 165sq meter unit on Collier Road in Bayswater. After only 12 months the company outgrew the premises and moved into the front unit on the block, which was twice in size at 330 sq meters. The growth of the business continued as the quality of work at Wilkinson Suspension Centre became well known and in November 1991, the company moved to a purpose built workshop in Beechboro Rd. Designed by Peter and his wife Jenny, the premises currently occupies 500 sq meters and is not an inch too big. With growth continuing over the years and Wilkinson Suspension Centre picking up a number of distributorships along the way, a custom built mezzanine was added and the 365 sq meter warehouse next door was purchased to keep all the necessary products needed to service their growing customer base. 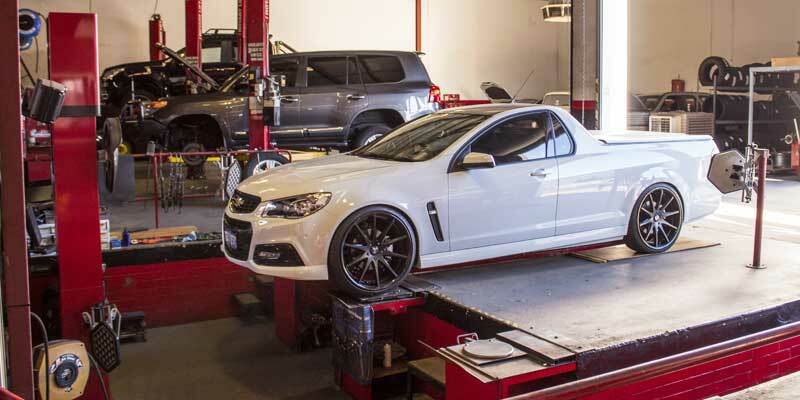 We specialise in 4WD lift kits, performance suspension components, wheel alignments, shock absorbers, springs, bushes, steering parts and general suspension repairs. We also have a wide range of the latest wheels to spice up any ride and have expanded to stock tyres from leading brands such as Achilles, Nitto and Mickey Thompson just to name a few. Whether it is for circuit racing, rock climbing in your 4×4 or everyday driving, the quality of our work is known by all types of drivers all around the country. Why not drop in to visit our showroom or view our contact us page to see what we can do for you! Peter Wilkinson is the founder and owner of Wilkinson Suspension Centre and is someone who knows a lot about suspension. Back in the 70s, Peter competed in numerous rally events before taking to the bitumen in a Datto’ 1600 – and set a few lap records in the process. Peter also worked in his father’s wheel alignment business back in the days when XY GT Falcons were the toughest cars in town. After gaining valuable skills and knowledge in suspension fitting and repairs he decided to set up his own suspension business in 1988. Peter’s eldest son Brett joined the family business in 2000 and has developed his own reputation as a highly qualified suspension consultant. Brett has been responsible for some of Australia’s top show cars which are regularly seen in magazines, websites and the well known Autosalon circuit. He is well known for his work in the Australian Drifting scene. These days Brett competes in a large number of motorsport events from tarmac rallies to circuit racing all around the country and takes the experiences from these events to increase the quality of work offered in the Perth suspension market. 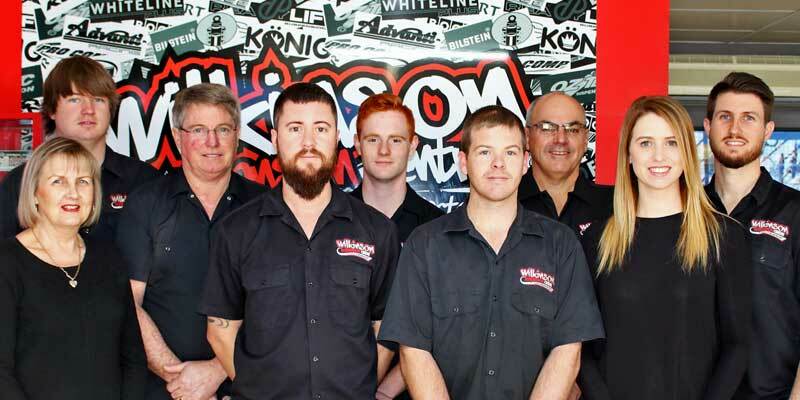 Anyone who wants quality suspension that goes the distance knows that the team at Wilkinson Suspension Centre are the people to see.